I used to dream and daydream a lot when I was a kid. I remember keeping a dream dictionary at my bed side to make sure I will remember my dream and know its interpretation. I was very positive about them, especially when they predict positive things. I often daydream when I go out of town trips. Long trips are my favorites because not only they give me time to think and imagine about my future plans, they relax me as well while listening to my favorite classical and pop songs. But to be honest, I felt when Rianna, my nine-year-old niece, recently died, our dream and months of positive thinking and keeping the faith of seeing her normal and well again were suddenly gone and wasted. And here comes the reality of life that not everything happens the way we want it to happen. So what are dreams and positive thinking for if they don’t really happen? Should I stop dreaming and thinking positive? Why Rianna died after a two-year battle with N-methyl-D-aspartate (NMDA) receptor encephalitis, pneumonia and ovarian cyst remains a mystery to me. Her doctors were very positive about her recovery. No one said she will die. We were all prepared to look after her as long as it takes, but God has other plans and I’m pretty sure in time, someday, I can say, He has “better” plans. Whatever that is, I still don’t know for now. Only time can tell. 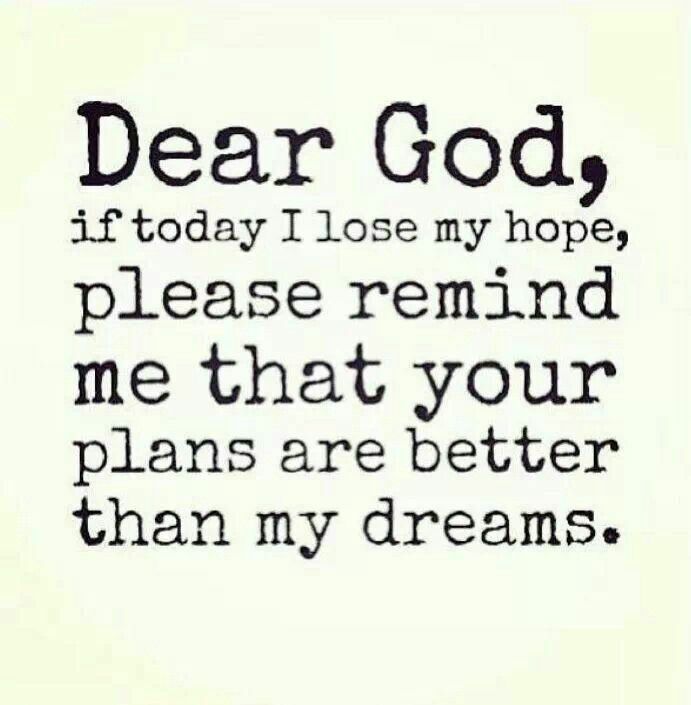 So today, I want to offer a prayer, which I saw from one of my Bible plans, for everyone, who like me, is struggling to dream and believe again. Are you having a hard time dreaming and believing again? Just pray and talk to God. He may not have the answers you needed right now, but I’m sure in time He will and it’ll give you peace of mind. Trust the process. Keep the faith. Trusting the process is important but it can also be difficult at times, keeping the faith and hope is key. I pray that the Lord lightens your load and heals yours and your family’s hearts. May He grant you peace of mind and continue to strengthen you. Thank you for the comforting words, and for taking time to read my post.